The Rockport Harbor was the site of a myriad of colorful sails at Tuesday night's "Race around the Island" Sunfish race. 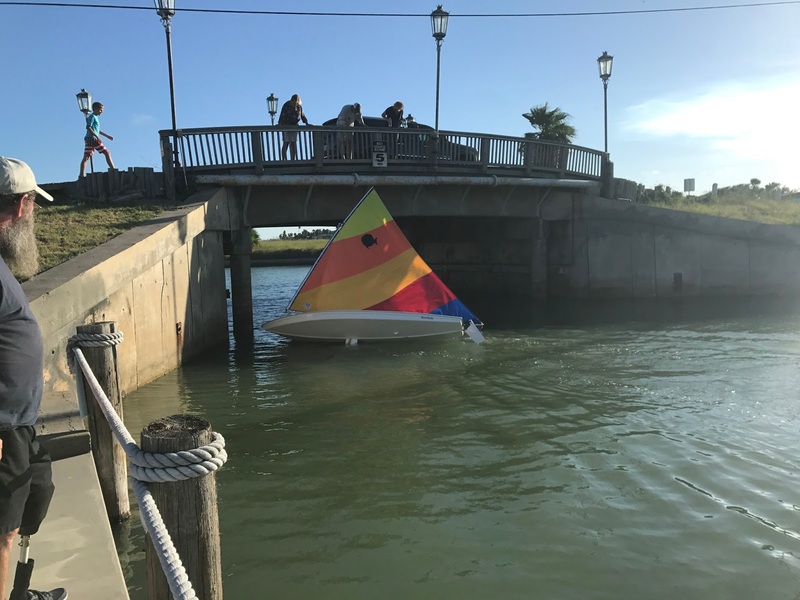 The annual event was the finale of the Rockport Yacht Club's Tuesday night Sunfish races held throughout the summer in the harbor area in front of the yacht club. The general public is always welcome to join in or to just come out to cheer the racers on. 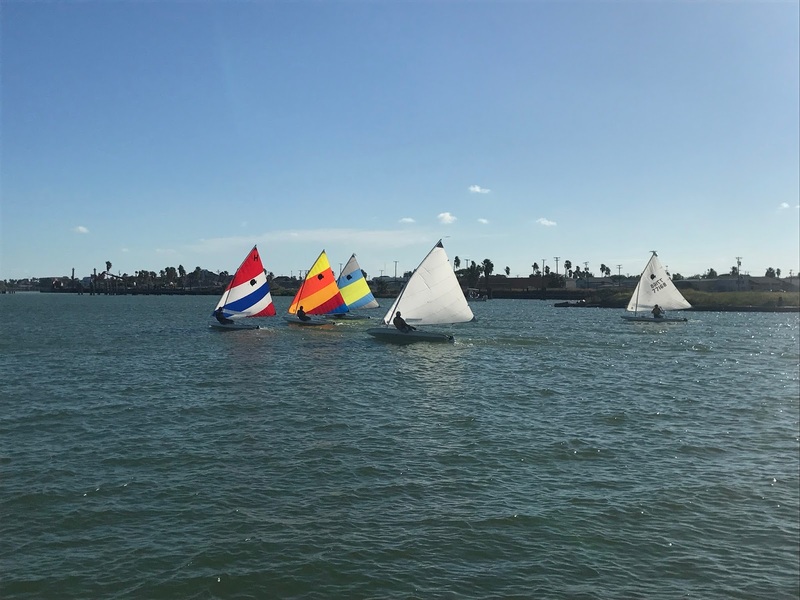 As a result of the youth sailing classes offered for the past few years by the yacht club, the races are beginning to attract some younger sailors to the competition. This year's finale included two youth racing against their older counterparts, with 15 year old Emma McInnis coming in second behind yacht club member and former Commodore Bill Coxwell. This year the winds were just right to help speed the racers journey from in front of the yacht club over to Key Allegro and back. Once the racers left the harbor, the spectators piled into their cars in order to watch one of the more fun parts of the race. In order to get their sailboats under the Key Allegro Bridge, the racers have to lay their boats down. 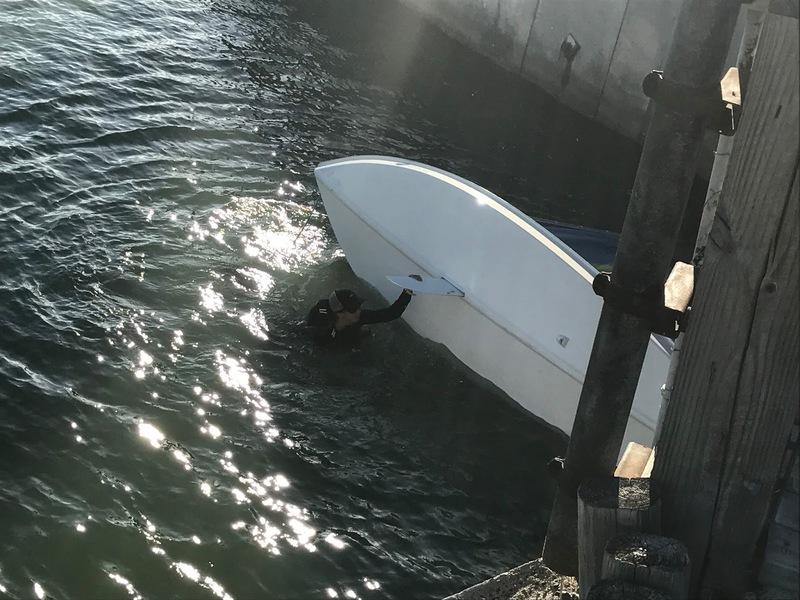 They then swim the overturned boats under the bridge before getting them upright again and resuming the race back to the yacht club. 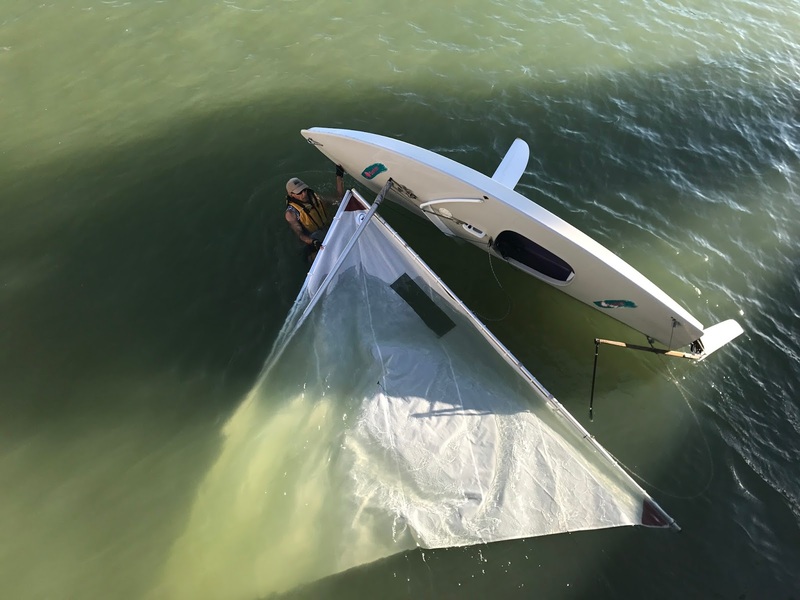 The only mishap of the night was a broken mast suffered by one of the racers, who managed to adjust his sail in order to still complete the race. 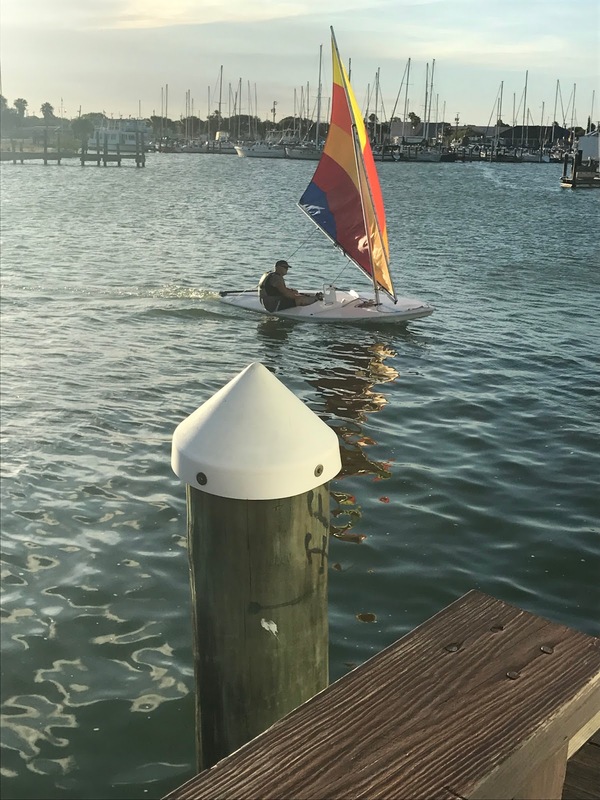 If you are interested in getting involved in this or other upcoming sailing events sponsored by the Rockport Yacht Club, guests are invited to attend the yacht club's Happy Hour on Fridays beginning at 5:00 p.m..
Bill Coxwell leading the pack to the finish line.